Takeshi Inomata is one of the foremost dirt archaeologists currently excavating in Mesoamerica. He has worked extensively at the sites of Aguateca and Ceibal. Inomata holds a PhD from Vanderbilt. He is a prolific author and National Geographic grantee on the University of Arizona faculty. This year he is on leave working at Dumbarton Oaks, Harvard's research facility in Washington, DC. I was privileged to hear him speak on Tuesday, March 8th at BYU. These are my notes from his lecture. Don Forsyth, NWAF Director, and John E. Clark, former NWAF Director, were both in the audience. Inomata praised NWAF for the good work they have done over decades to help shed light on the Mesoamerican preclassic. He defines the middle preclassic as the time period from 1,000 BC to 350 BC. Sites like El Mirador and San Bartolo have pushed the origins of Maya civilization back in time to the beginning of the middle preclassic. In the early preclassic, not much was happening in the Maya lowlands. Maize agriculture suddenly became much more productive ca. 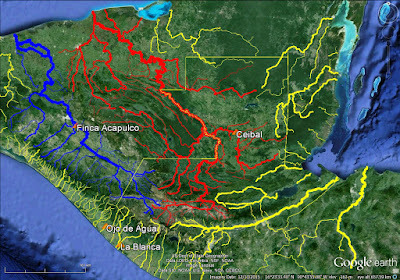 1,000 BC which explains the rise of major Maya centers in the lowlands. Jade celts from Ceibal date to 950 BC. To put this into perspective, Caral on the coast of Peru is pre-ceramic and dates to 2,600 BC. (For a photo I took at Caral in 2014, see the blog article "Things Peruvian.") Watson Brake in northern Louisiana is also pre-ceramic and dates to 3,500 BC. Evolutionary theorists have traditionally held that agriculture led to sedentism which led to urbanism which led to ritual complexes. That is simply not true. We see ritual very early in the archaeological record. Neolithic Goebekli Tepe in Turkey is a good example. San Lorenzo was followed by La Venta as the leading Olmec site. 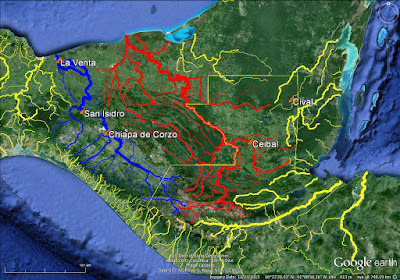 La Venta and Ceibal were linked and influence was bi-directional. In general, La Venta was primary and Ceibal was secondary. Ca. 1,000 BC the lowland Maya emergence began, fueled by maize agriculture. 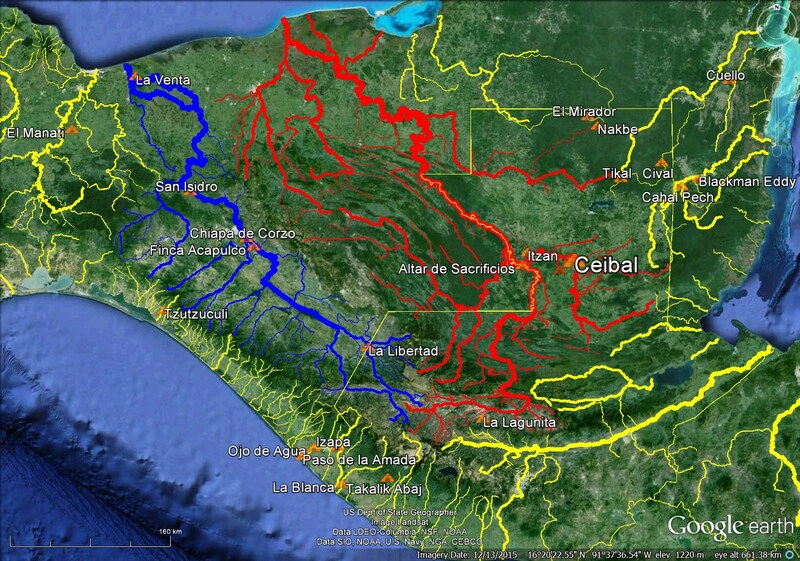 Ceibal was part of the Vanderbilt Petexbatun Regional Archaeological Project (1989 - 96) that investigated causes of the classic Maya collapse. Inomata's 1995 dissertation was an analysis of the way the collapse played out at Aguateca. He did fieldwork at Ceibal from 2005 - 2015. Rather than focus on the collapse, his research during the last decade has been trying to understand the origins of the site. Inomata described what he called the middle preclassic "Chiapas pattern." An E Group was oriented on an east - west axis with the structures laid out in a particular format. Greenstone axes were placed in cruciform shaped foundation deposits aligned to the cardinal directions along the center line of the E Group. This pattern was found at La Venta, San Isidro, Chiapa de Corzo, and Ceibal. This Chiapas Pattern was evident from the very beginning of the Ceibal community. Major construction phases at Ceibal began ca. 950 BC, 700 BC, and 400 BC. Substantial construction was in place by 800 BC. We see an elite residential complex at 800 BC. 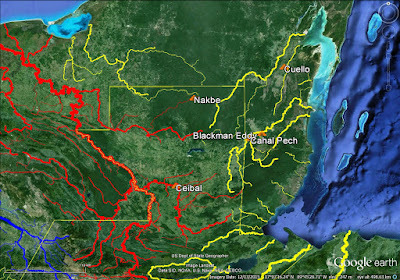 From 700 - 350 BC we see the fully developed Chiapas Pattern at Ceibal and several other sites. William Rust did important work at La Venta. 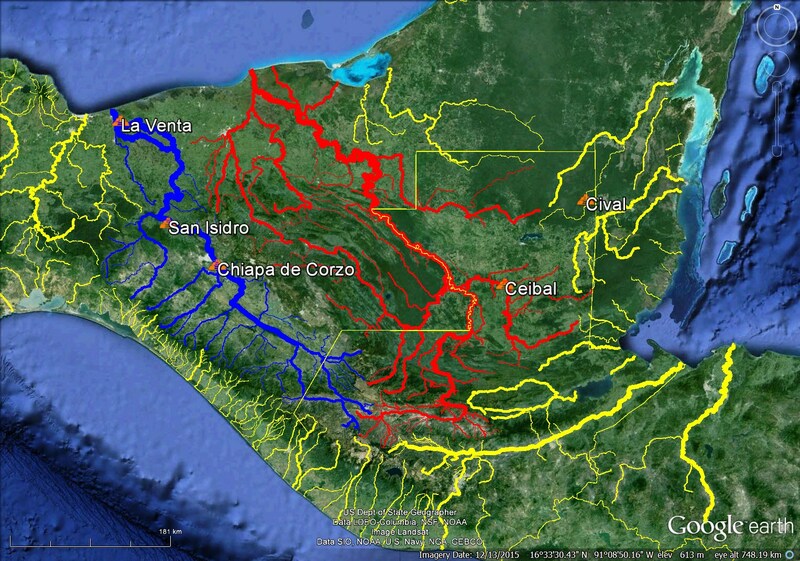 La Venta was not a large center before 800 BC. El Manati also had a greenstone ax deposit, but those axes were arranged in a flower petal shape. The El Manati cache dates to 1,400 - 1,100 BC. There were many ax caches at Ceibal. Some of the earliest ones were laid out in a flower petal arrangement. We also see Olmec spoons at Ceibal, probably worn as pectorals. From 800 - 600 BC all of the ax caches at Ceibal were laid out in cruciform shape aligned to the cardinal directions. An Olmec style pyrite mirror was found at Ceibal dating to 800 BC. Olmec figurines at the site date from 800 - 600 BC. Greenstone axes in cruciform shaped caches were found at La Venta, Chiapa de Corzo, San Isidro, and Cival after 800 BC. Archaeologists love to find early dates. 1,200 BC dates have been published for Cahal Pech and Cuello in Belize. Inomata thinks those very early dates should be thrown out as outliers. Examining the C-14 data carefully, he thinks 1,000 BC is a good origin date for Cuello, Blackman Eddy, Nakbe, Cahal Pech, and Ceibal. 1,000 BC is the beginning of the middle preclassic. A dramatic increase in maize consumption began at this time. By 1,100 BC San Lorenzo was in decline. 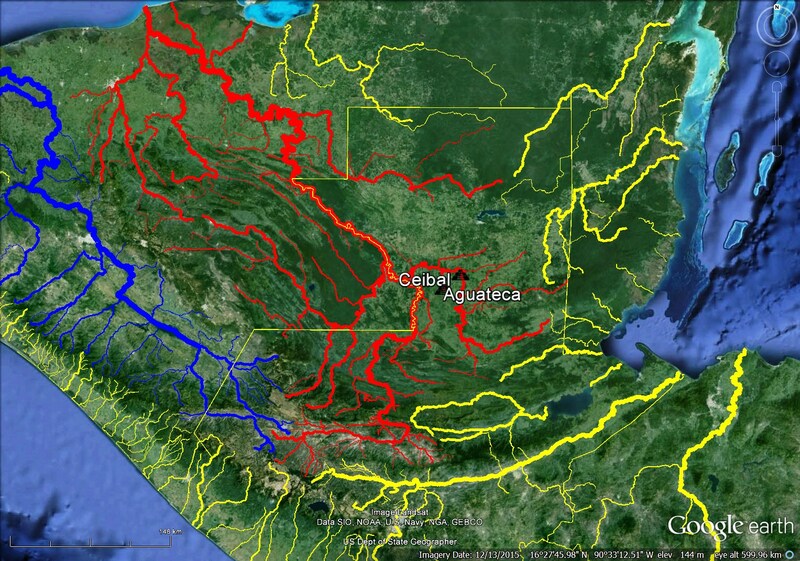 At Ojo de Agua we may have a prototype of the Chiapas Pattern ca. 1,100 BC. There is evidence of cultural contact between Ceibal and Finca Acapulco as well as La Blanca. 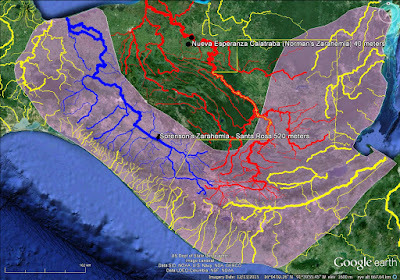 Middle preclassic cultural contact between the Central Depression of Chiapas and the Pasion River area is well established. La Blanca was aligned northward to volcano Tajumulco. Takalik Abaj was aligned northward to volcano Siete Orejas. Izapa was aligned northward to volcano Tacana. Northward from La Venta was the ocean, so the Olmec built an artificial volcano and aligned their site to it. This is one of many examples of cultural influence coming into La Venta from the south. Chiapa de Corzo, La Libertad, Finca Acapulco, La Blanca, Ceibal and Cuello all had substantial development by 800 BC when La Venta was just getting started. 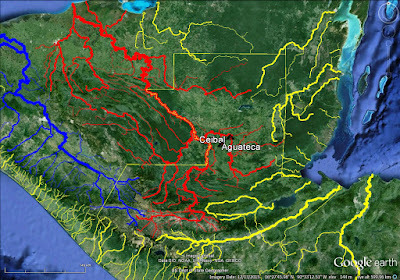 The Chiapas pattern was fully developed at Ceibal by 700 BC. Tikal had an early E Group. The E Group, first documented at Uaxactun, was a Maya adaptation, not a Maya invention. The E group was invented in Chiapas. In the Petexbatun, we see Itzan, Altar de Sacrificios,and Punta de Chimino all beginning to develop in the 800 - 700 BC era. Caobal, a small site near Ceibal, began 1,000 - 800 BC. Paso de Amada had a greenstone ax cache in its ceremonial center. This image shows all the sites Inomata mentioned as having had some influence on or relationship with Ceibal in the middle preclassic. Inomata then showed two very important images showing Ceibal being influenced from La Venta and Chiapas as well as the southern Maya lowlands. Cultural influences flowed both directions. La Venta had early Maya influence just as the early Maya sites had late Olmec influence. 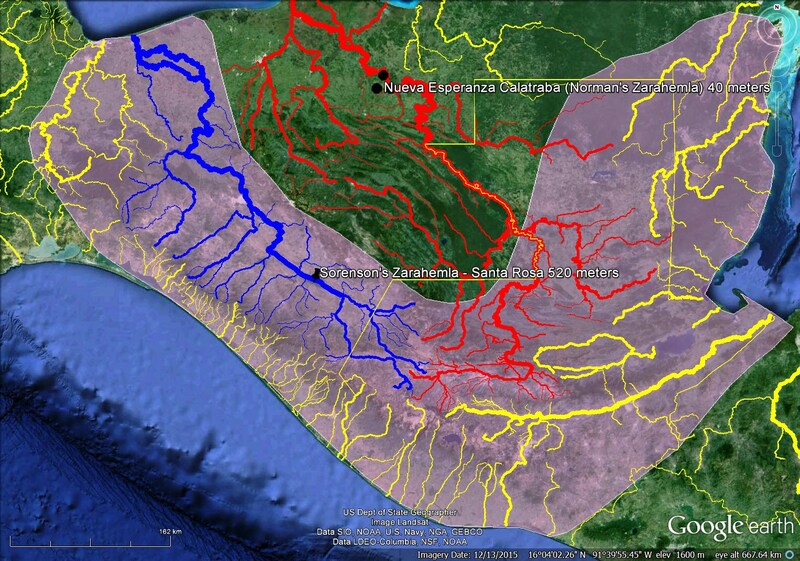 Inomata believes the Chiapas pattern originated in and around Chiapa de Corzo. Here is a composite image showing where Inomata thinks influences on Ceibal were coming from in the middle preclassic. Inomata's map has profound implications for the accurate placement of river Sidon and Zarahemla. The Mulekites founded Zarahemla on the west bank of river Sidon ca. 580 BC. When the Mulekites settled Zarahemla, it was in a wilderness Mosiah 25:2, Alma 22:31. The Mulekites did not know Coriantumr when they discovered him wandering far from his homeland ca. 400 BC. Omni 1:21, Ether 13:21. No one among the Mulekites could read Coriantumr's stela until Mosiah1 became their king ca. 200 BC Omni 1:20-22. The Nephites in and around the city of Nephi and the Mulekites in and around the city of Zarahemla were unaware of each other's existence for nearly 400 years Omni 1:14-17. It was only after the Nephite - Mulekite merger ca. 200 BC that the Nephites had tangible proof positive that Jerusalem was destroyed as Lehi had prophesied Helaman 8:21. The text describes A) a wilderness motif, B) an unknown foreigner narrative, C) an undeciphered language narrative, D) a living in oblivion narrative, and E) eventual corroboration of the founding narrative. All of these criteria are incompatible with the middle preclassic Ceibal influence area shaded in light purple on the map above. In other words, if Nephi was in highland Guatemala (see the article "Kaminaljuyu"), then it is highly unlikely Zarahemla was in Inomata's middle preclassic Ceibal influence area. This expressly contradicts Sorenson's Zarahemla south of the upper Grijalva, while corroborating Norman's Zarahemla west of the middle Usumacinta. The January, 2016 Book of Mormon Lands Map follows Norman on Zarahemla. I had to leave soon after the conclusion of Inomata's lecture. Had I remained for the question and answer period, I would have asked him how his work at Ceibal correlates with Bruce Bachand's recent work at Chiapa de Corzo. See the article "Zoque Sites."